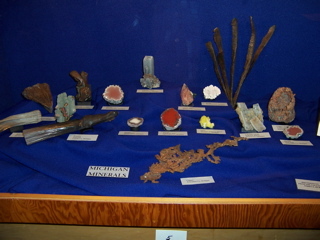 I was given on some cool new specimens for my collection. All and all I had a great time. Here is the sign. Not much to say about it. 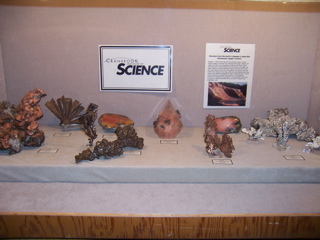 Various Michigan Minerals are featured in this exhibit. 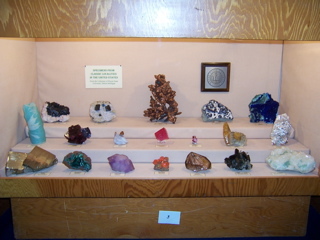 Here is an another nice exhibit with some pretty minerals. 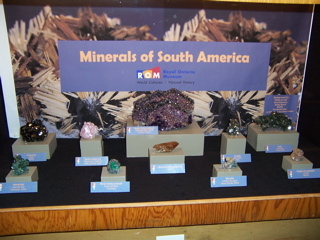 An exhibit about South American minerals. 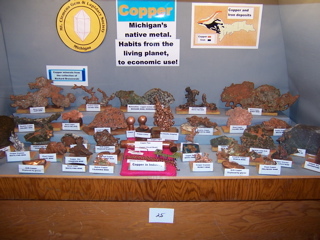 You can't have a rock show in Michigan without a copper exhibit. 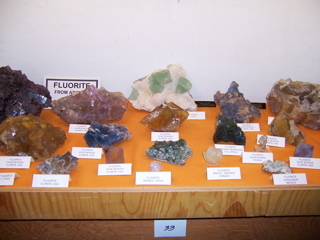 Here are some nice fluorite specimens. 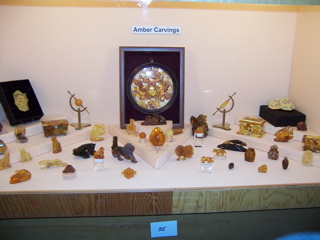 These amber carvings were very nice. 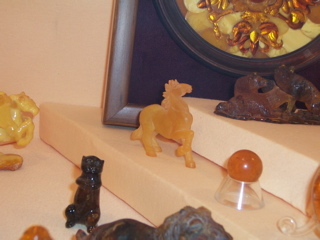 Here is a close up of the amber horse carving, that I took for my Mom. 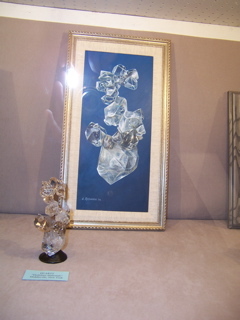 These paintings were so cool, I couldn't believe how realistic they were. 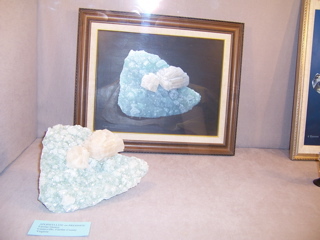 Another nice mineral painting . 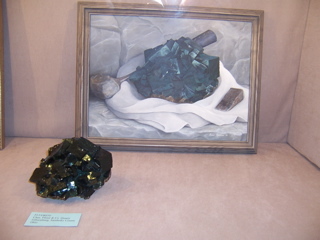 I think this one is pyrite . 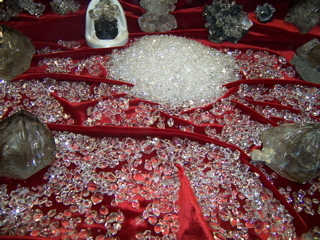 DIAMONDS lots and lots of diamonds, Herkimer diamonds that is. 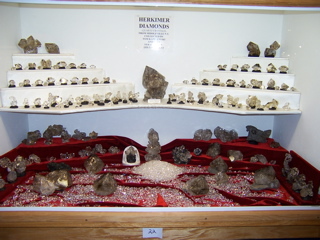 A close up of some of the Herkimers . 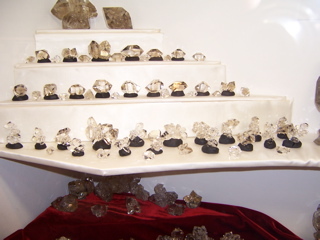 A big pile of Herkimers, and some really big ones on the sides. 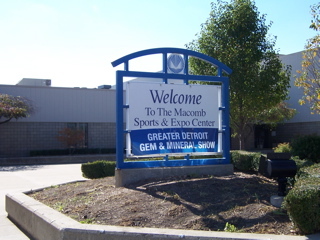 Click Here to Visit Page Two of the Detroit Rock Show 2006 Field Trip! You can get louboutin sale collection and mulberry bags sale along with mulberry purses at our superb Superstore that fulfills your all requirements from pre-purchase to post-purchase. Our reliable pandora charms uk and abercrombie and fitch kids have effective selection for both style and trend.